Harry Potter is a British-American film series based on the Harry Potter novels by author J. K. Rowling. The series is distributed by Warner Bros. and consists of eight fantasy films, beginning with Harry Potter and the Philosopher's Stone (2001) and culminating with Harry Potter and the Deathly Hallows – Part 2 (2011). A spin-off prequel series will consist of five films, starting with Fantastic Beasts and Where to Find Them (2016). The Fantastic Beasts films mark the beginning of a media franchise known as J. K. Rowling's Wizarding World. The series was mainly produced by David Heyman, and stars Daniel Radcliffe, Rupert Grint, and Emma Watson as the three leading characters: Harry Potter, Ron Weasley, and Hermione Granger. Four directors worked on the series: Chris Columbus, Alfonso Cuarón, Mike Newell, and David Yates. The screenplays were written by Steve Kloves, with the exception of Harry Potter and the Order of the Phoenix (2007), which was written by Michael Goldenberg. Production took over ten years to complete, with the main story arc following Harry Potter's quest to overcome his arch-enemy Lord Voldemort. Harry Potter and the Prisoner of Azkaban (2004) is the only film in the series not among the 50 highest-grossing films, with Harry Potter and the Deathly Hallows – Part 2, the highest-grossing film in the series and one of 26 films to gross over $1 billion, ranking at number 8. Without inflation adjustment, it is the second highest-grossing film series with $8.1 billion in worldwide receipts. Although Steven Spielberg initially negotiated to direct the first film, he declined the offer. Spielberg wanted the adaptation to be an animated film, with American actor Haley Joel Osment to provide Harry Potter's voice. Spielberg contended that, in his opinion, there was every expectation of profit in making the film. He claims that making money would have been like "shooting ducks in a barrel. It's just a slam dunk. It's just like withdrawing a billion dollars and putting it into your personal bank accounts. There's no challenge". In the "Rubbish" Bin section of her website, Rowling maintains that she had no role in choosing directors for the films, writing "Anyone who thinks I could (or would) have 'veto-ed' him [Spielberg] needs their Quick-Quotes Quill serviced." — Lorenzo di Bonaventura, Warner Bros.
Daniel Radcliffe, Emma Watson, and Rupert Grint at the world premiere of Harry Potter and the Deathly Hallows – Part 2 in Trafalgar Square, London on 7 July 2011. Heyday Films and Columbus' company 1492 Pictures collaborated with Duncan Henderson Productions in 2001, Miracle Productions in 2002, and P of A Productions in 2004. Even though Prisoner of Azkaban was the final film produced by 1492 Pictures, Heyday Films continued with the franchise and collaborated with Patalex IV Productions in 2005. The sixth film in the series, Half-Blood Prince, was the most expensive film to produce as of 2009. The series' first director, Chris Columbus, directing Richard Griffiths, Robbie Coltrane, Fiona Shaw, and Daniel Radcliffe on set of Harry Potter and the Philosopher's Stone. Steve Kloves wrote the screenplays for all but the fifth film, which was penned by Michael Goldenberg. Kloves had direct assistance of J. K. Rowling, though she allowed him what he described as "tremendous elbow room". Rowling asked Kloves to remain faithful to the spirit of the books; thus, the plot and tone of each film and its corresponding book are virtually the same, albeit with some changes and omissions for purposes of cinematic style, time, and budget constraints. 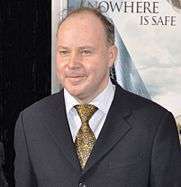 Michael Goldenberg also received input from Rowling during his adaptation of the fifth novel; Goldenberg was originally considered to adapt the first novel before the studio chose Kloves. Six directors of photography worked on the series: John Seale on the first film, Roger Pratt on the second and fourth, Michael Seresin on the third, Sławomir Idziak on the fifth, Bruno Delbonnel on the sixth, and Eduardo Serra on the seventh and eighth. Delbonnel was considered to return for both parts of Deathly Hallows, but he declined, stating that he was "scared of repeating" himself. Delbonnel's cinematography in Half-Blood Prince gained the series its only Academy Award nomination for Best Cinematography. As the series progressed, each cinematographer faced the challenge of shooting and lighting older sets (which had been around since the first few films) in unique and different ways. Chris Columbus said the series' vivid colouring decreased as each film was made, reflecting a more real world. The Harry Potter series has had four composers. John Williams was the first composer to enter the series and is known for creating Hedwig's Theme, which is heard at the start of each film. Williams scored the first three films: Philosopher's Stone, Chamber of Secrets, and Prisoner of Azkaban. However, the second entry was adapted and conducted by William Ross due to Williams's conflicting commitments. After Williams left the series to pursue other projects, Patrick Doyle scored the fourth entry, Goblet of Fire, which was directed by Mike Newell, with whom Doyle had worked previously. In 2006, Nicholas Hooper started work on the soundtrack to Order of the Phoenix by reuniting with old friend director David Yates. Hooper also composed the soundtrack to Half-Blood Prince but decided not to return for the final films. Director David Yates stated that he wanted John Williams to return to the series for the final instalment, but their schedules did not align due to the urgent demand of a rough cut of the film sooner than was possible. The final recording sessions of Harry Potter took place on 27 May 2011 at Abbey Road Studios with the London Symphony Orchestra, orchestrator Conrad Pope, and composer Alexandre Desplat. There have been many visual effects companies to work on the Harry Potter series. Some of these include Rising Sun Pictures, Double Negative, Cinesite, Framestore, and Industrial Light & Magic. The latter three have worked on all the films in the series, while Double Negative and Rising Sun Pictures began their commitments with Prisoner of Azkaban and Goblet of Fire, respectively. Framestore contributed by developing many memorable creatures and sequences to the series. Cinesite was involved in producing both miniature and digital effects for the films. Producer David Barron said that "Harry Potter created the UK effects industry as we know it. On the first film, all the complicated visual effects were done on the [US] west coast. But on the second, we took a leap of faith and gave much of what would normally be given to Californian vendors to UK ones. They came up trumps." Tim Burke, the visual effects supervisor, said many studios "are bringing their work to UK effects companies. Every facility is fully booked, and that wasn't the case before Harry Potter. That's really significant." Harry, Ron, and Hermione return to Hogwarts for their second year, which proves to be more challenging than the last. The Chamber of Secrets has been opened, leaving students and ghosts petrified by an unleashed monster. Harry must face up to claims that he is the heir of Salazar Slytherin (founder of the Chamber), learn that he can speak Parseltongue, and also discover the properties of a mysterious diary only to find himself trapped within the Chamber of Secrets itself. 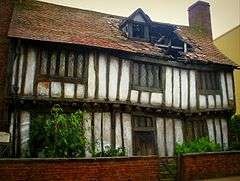 The Potters' Cottage from the final film. On 12 September 2013, Warner Bros. announced that J.K. Rowling was writing a script based on her book Fantastic Beasts and Where to Find Them and the adventures of its fictional author Newt Scamander, set 70 years before the adventures of Harry Potter. The film would mark Rowling's screenwriting debut and is planned as the first movie in a new series. According to Rowling, after Warner Bros. came suggesting an adaptation, she wrote a rough draft of the script in 12 days. She said, "It wasn't a great draft but it did show the shape of how it might look. So that is how it all started." On 29 March 2014, The New York Times reported that a trilogy is scheduled and the film will begin in New York. On 13 May 2014, Warner Bros. announced that Fantastic Beasts and Where to Find Them would be released on 18 November 2016 In November 2016, it was announced that Johnny Depp will appear in the film as Gellert Grindelwald. On 14 October 2016, J.K. Rowling announced that Fantastic Beasts will be a five film series. In November 2016, it was announced that Johnny Depp would have a larger role, staring in the as-of-yet unnamed sequel to Fantastic Beasts and Where to Find Them. Yates and Rowling are contracted to return as director, and screenwriter and co-producer, respectively. Later that same month it was also announced that Albus Dumbledore would be appearing in the future instalments, albeit with a younger actor for the prequel film series. The director also expressed the intent to release an instalment yearly. The television broadcast rights for the series in the United States are currently held by Disney–ABC Domestic Television, which typically airs the films on the Freeform network. Disney's contract is expected to end in June 2018, after which, NBCUniversal will take control of the rights, after their deal with Warner Bros. was made in August 2016. The film series has accrued nearly 1.3 billion viewings since their television debut—the highest-watched franchise in television broadcast history. Six of the eight films were nominated for a total of 12 Academy Awards. However, the series did not win any. Some critics, fans, and general audiences have expressed disappointment that the series has not captured any Oscars for its achievements. However, detractors have pointed that certain films in the series have had uneven reviews, in contrast to the three films of The Lord of the Rings, which were all critically acclaimed. This has been partially attributed to the Harry Potter franchise going through several directors with their own styles, something that the Academy reportedly does not favour, in contrast to the Lord of the Rings trilogy, which was filmed in one massive undertaking by the same director, writer, and producer. As of 2015, the Harry Potter film franchise is the 2nd highest-grossing film franchise of all time behind only the Marvel Cinematic Universe films, with the eight films released grossing over $7.7 billion worldwide. Without adjusting for inflation, this is higher than the first 22 James Bond films and the six films in the Star Wars franchise. Chris Columbus's Philosopher's Stone became the highest-grossing Harry Potter film worldwide upon completing its theatrical run in 2002, but it was eventually topped by David Yates's Deathly Hallows – Part 2, while Alfonso Cuarón's Prisoner of Azkaban grossed the least. ↑ Not including executive producers. ↑ Kois, Dan. "The Real Wizard Behind Harry Potter" Slate (magazine), 13 July 2011. Accessed: 20 December 2013. ↑ "Fantasy – Live Action". Box Office Mojo. Retrieved 1 June 2011. ↑ "Harry Potter". Box Office Mojo. Retrieved 1 June 2011. 1 2 Dargis, Manohla; Scott, A. O. (15 July 2007). "Harry Potter and the Four Directors". The New York Times. Retrieved 29 July 2011. 1 2 "Harry Potter at Leavesden". WB Studio Tour. Retrieved 16 September 2012. ↑ "Warner Bros. Plans Two-Part Film Adaptation of "Harry Potter and the Deathly Hallows" to Be Directed by David Yates". Business Wire. 13 March 2008. Retrieved 6 September 2012. ...expand the screen adaptation of Harry Potter and the Deathly Hallows and release the film in two parts. ↑ Boucher, Geoff; Eller, Claudia (7 November 2010). "The end nears for 'Harry Potter' on film". Los Angeles Times. Retrieved 3 January 2010. The fantasy epic begins its Hollywood fade-out Nov. 19 with the release of " Harry Potter and the Deathly Hallows – Part 1" and finishes next summer with the eighth film, "Harry Potter and the Deathly Hallows – Part 2." ↑ Schuker, Lauren A. E. (22 November 2010). "'Potter' Charms Aging Audience". The Wall Street Journal. Retrieved 3 January 2010. 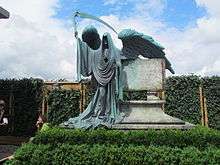 The seventh instalment in the eight-film franchise, "Harry Potter and the Deathly Hallows: Part I" took in a franchise record of $125.1 million at domestic theaters this weekend according to Warner Bros., the Time Warner Inc.-owned movie studio behind the films. ↑ "All Time Worldwide Box Office Grosses". Box Office Mojo. Retrieved 11 October 2015. 1 2 3 4 5 "Hero Complex". Los Angeles Times. 20 July 2009. Retrieved 4 May 2010. ↑ "WiGBPd About Harry". Australian Financial Review. 19 July 2000. Archived from the original on 4 January 2007. Retrieved 26 May 2007. ↑ "Harry Potter and the Philosopher's Stone". The Guardian. UK. 16 November 2001. Retrieved 26 May 2007. ↑ Ross, Jonathan, J. K. Rowling (6 July 2007). Friday Night with Jonathan Ross. UK: BBC One. Retrieved 31 July 2007. ↑ Linder, Brian (23 February 2000). "No "Harry Potter" for Spielberg". IGN. Retrieved 8 July 2007. ↑ Jensen, Jeff (17 March 2000). "Potter's Field". Entertainment Weekly. Retrieved 26 May 2007. ↑ "For Spielberg, making a Harry Potter movie would have been no challenge". Hollywood.com. 5 September 2001. Retrieved 26 May 2007. ↑ Rowling, J.K. "Rubbish Bin: J. K. Rowling "veto-ed" Steven Spielberg". JKRowling.com. Archived from the original on 8 February 2012. Retrieved 20 July 2007. ↑ Schmitz, Greg Dean. "Harry Potter and the Sorcerer's Stone (2001)". Yahoo!. Archived from the original on 15 December 2007. Retrieved 30 May 2007. ↑ Davidson, Paul (15 March 2000). "Harry Potter Director Narrowed Down". IGN. Retrieved 8 July 2007. ↑ "Terry Gilliam bitter about Potter". Wizard News. 29 August 2005. Retrieved 8 July 2007. 1 2 3 Linder, Bran (28 March 2000). "Chris Columbus to Direct Harry Potter". IGN. Retrieved 8 July 2007. ↑ Sragow, Michael (24 February 2000). "A Wizard of Hollywood". Salon. Retrieved 8 July 2007. ↑ Linder, Brian (30 March 2000). "Chris Columbus Talks Potter". IGN. Retrieved 8 July 2007. ↑ Brian Linder (17 May 2000). "Bewitched Warner Bros. Delays Potter". IGN. Retrieved 8 July 2007. 1 2 "Young Daniel gets Potter part". BBC Online. 21 August 2000. ↑ "Daniel Radcliffe, Rupert Grint and Emma Watson bring Harry, Ron and Hermione to life for Warner Bros. Pictures' "Harry Potter and the Sorcerer's Stone"". Warner Brothers. 21 August 2000. Archived from the original on 14 April 2002. Retrieved 26 August 2010. ↑ "Warner Bros. Pictures mentions J. K. Rowling as producer". Business Wire. 20 September 2010. Retrieved 2 March 2011. ↑ Richards, Olly (14 March 2008). "Potter Producer Talks Deathly Hallows". Empire. Retrieved 14 March 2008. 1 2 3 4 5 Gilbey, Ryan (7 July 2011). "Ten years of making Harry Potter films, by cast and crew". The Guardian. London. Retrieved 12 September 2012. 1 2 3 4 5 "Christopher Columbus Remembers Harry Potter". Empire Online. Retrieved 9 September 2012. We realised that these movies would get progressively darker. Again, we didn't know how dark but we realised that as the kids get older, the movies get a little edgier and darker. ↑ "Harry Potter, Dissected". The New York Times. 14 July 2007. Retrieved 17 September 2012. ↑ "Chris Columbus". BBC Online. Retrieved 2 March 2011. ↑ "Columbus "Burned Out"". Blogs.coventrytelegraph.net. 6 July 2010. Archived from the original on 1 January 2014. Retrieved 2 March 2011. ↑ "Alfonso Cuaron: the man behind the magic". Newsround. 24 May 2004. Retrieved 10 October 2007. 1 2 3 4 "Alfonso Cuarón Talks Harry Potter". Empire. Retrieved 6 September 2012. 1 2 3 "Mike Newell on Harry Potter". Empire Online. Retrieved 9 September 2012. 1 2 3 "Deathly Hallows Director David Yates On Harry Potter". Empire Online. Retrieved 9 September 2012. ↑ "Heyman on directors". Orange.co.uk. Retrieved 2 March 2011. ↑ Amy Raphael (24 June 2007). "How I raised Potter's bar". The Observer. London. Retrieved 12 September 2012. ↑ "Harry Potter & The Order Of The Phoenix – Daniel Radcliffe interview". Indie London. Retrieved 14 September 2012. ↑ "Introducing Michael Goldenberg: The OotP scribe on the Harry Potter films, franchise, and fandom OotP Film". The Leaky Cauldron. 10 April 2007. Retrieved 10 September 2012. ↑ "Heyman talks adaptation". Firstshowing.net. 9 December 2010. Retrieved 2 March 2011. 1 2 "Steve Kloves Talks Harry Potter". Empire Online. Retrieved 17 September 2012. 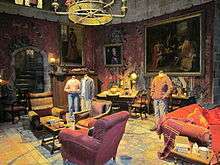 ↑ "Visitor Information: Harry Potter". 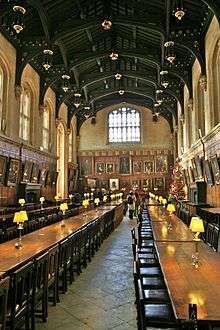 Christ Church, Oxford. Retrieved 5 June 2010. ↑ "OSCARS: Production Designer Stuart Craig — 'Harry Potter'". The Deadline Team. Retrieved 20 March 2015. 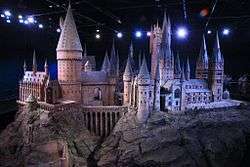 ↑ "HARRY POTTER Studio Tour Opens in 2012". Collider.com. Retrieved 13 September 2013. 1 2 "From Sketch to Still: From Marbling Gringotts to Painting Diagon Alley, How Harry Potter's Art Direction Earned Its Oscar Nod". Vanity Fair. 14 February 2012. Retrieved 10 September 2012. 1 2 3 "Drawn to cinema: An interview with Stuart Craig". Beat Magazine. 30 October 2010. Archived from the original on 24 December 2013. Retrieved 30 September 2012. ↑ Ryzik, Melena (7 February 2012). "Harry Potter and the Continuity Question". The New York Times. Retrieved 10 September 2012. ↑ "Tech Support Interview: Stuart Craig and Stephenie McMillan on a decade of designing 'Harry Potter'". HitFix. 10 September 2012. ↑ : Rosi (1 March 2010). "Delbonnel on Potter". The-leaky-cauldron.org. Retrieved 2 March 2011. ↑ "Bruno Delbonnel talks shooting Half-Blood Prince to mark Oscar nomination". Mugglenet. Retrieved 29 September 2012. ↑ "Bringing a Wizard's Dark World to Life". The Wall Street Journal. 19 November 2010. Retrieved 30 September 2012. ↑ "A Wizard Comes Of Age". Retrieved 29 September 2012. 1 2 "Kodak Celebrates the Oscars® Feature: Harry Potter and the Deathly Hallows – Part 1". Kodak. Archived from the original on 25 May 2013. Retrieved 29 September 2012. ↑ "Deathly Hallows to Be Shot Using "Loads of Hand-Held Cameras," Tom Felton Talks Sectumsempra in Half-Blood Prince". The Leaky Cauldron. 31 March 2009. Retrieved 31 March 2009. ↑ "Lensers aren't afraid of the dark". Variety. 12 December 2012. Retrieved 30 September 2012. What I loved about the last film is that David pushed me to go dark, which all cinematographers love to do. And usually you're fighting with the producers (about the look) but they all wanted it dark and atmospheric, too. ↑ MuggleNet (19 January 2010). "CONFIRMED – Desplat for DH". Mugglenet.com. Retrieved 2 March 2011. ↑ "Pope on Desplat's HP7 Pt.1 Score". Snitchseeker.com. 28 August 2010. Retrieved 2 March 2011. ↑ "Alexandre Desplat – Composer of Part 1 and 2 (NOTE: Click "About the Movie", then "Filmmakers", then "Alexandre Desplat")". Harrypotter.warnerbros.com. Retrieved 2 March 2011. ↑ MuggleNet (12 November 2010). "Yates on Williams, Part 2". Mugglenet.com. Retrieved 2 March 2011. ↑ "Cinesite, HP 1–7". Cinesite.com. Archived from the original on 18 December 2010. Retrieved 2 March 2011. ↑ "June 2010 Filming completed". Snitchseeker.com. 12 June 2010. Retrieved 2 March 2011. ↑ "10 Years Filming – 24Dec2010". Snitchseeker.com. 21 December 2010. Retrieved 2 March 2011. ↑ MuggleNet (21 December 2010). "JK Title reveal". Mugglenet.com. Retrieved 2 March 2011. ↑ "Warner Bros. Announces Expanded Creative Partnership with J.K. Rowling". Business Wire. Retrieved 2013-09-12. ↑ "J.K. Rowling wrote the 'Fantastic Beasts' rough draft in twelve days, wants to be an extra in drag". Hypable. February 7, 2014. Retrieved February 8, 2014. ↑ Barnes, Brooks (March 29, 2014). "Warner's C.E.O. Is Bullish on the Big Screen". The New York Times. Retrieved March 29, 2014. ↑ "Harry Potter Spinoff 'Fantastic Beasts' to Hit Theaters Nov. 18, 2016". Variety. May 13, 2014. Retrieved May 19, 2014. ↑ "Fantastic Beasts and Where to Find Them: 4 Sequels Planned". Collider. 2016-10-13. Retrieved 2016-10-15. ↑ Fleming Jr., Mike (1 November 2016). "Johnny Depp To Co-Star In J.K. Rowling's 'Fantastic Beasts' Sequel At Warner Bros". Deadline. Retrieved 27 November 2016. ↑ "WB Name Drops Big Titles". ERCBoxOffice. 23 February 2009. Retrieved 3 March 2009. ↑ "DH Part 1 and 2 in 3D and 2D". Snitchseeker.com. 19 November 2010. Retrieved 2 March 2011. ↑ "Part 1 Not in 3D". Cinemablend.com. 8 October 2010. Retrieved 2 March 2011. ↑ Gottfried, Miriam (August 8, 2016). "Why Harry Potter Is NBCUniversal's Chosen One". The Wall Street Journal. Retrieved August 8, 2016. ↑ Flint, Joe (August 8, 2016). "NBCUniversal Places Big Bet on 'Harry Potter,' 'Fantastic Beasts'". The Wall Street Journal. Retrieved August 8, 2016. ↑ "Harry Potter Films Get Darker and Darker". Wall Street Journal. 18 November 2010. Retrieved 9 September 2012. ↑ "Harry Potter: Darker, Richer and All Grown Up". Time Magazine. 15 July 2009. Retrieved 9 September 2012. ↑ "Review: "Harry Potter" goes out with magical, and dark, bang". Reuters. 6 July 2011. Retrieved 9 September 2012. ↑ "Isn't It About Time You Gave The Chris Columbus Harry Potter Films Another Chance?". SFX UK. 3 December 2011. Archived from the original on 24 December 2013. Retrieved 9 September 2012. ↑ "Potter Power!". Time For Kids. Archived from the original on 20 January 2007. Retrieved 31 May 2007. ↑ Puig, Claudia (27 May 2004). "New Potter movie sneaks in spoilers for upcoming books". USA Today. Retrieved 31 May 2007. ↑ "JK "loves" Goblet Of Fire movie". CBBC. 7 November 2005. Retrieved 31 May 2007. ↑ Rowling, J. K. "How did you feel about the POA filmmakers leaving the Marauder's Map's background out of the story? (A Mugglenet/Lexicon question)". J. K. Rowling Official Site. Archived from the original on 6 August 2011. Retrieved 8 October 2007. ↑ "Harry Potter and the Sorcerer's Stone (2001)". Rotten Tomatoes. Retrieved 1 December 2013. ↑ "Harry Potter and the Sorcerer's Stone (2001): Reviews". Metacritic. Retrieved 29 June 2009. 1 2 3 4 5 6 7 8 9 "Cinemascore". Cinemascore.com. Retrieved February 21, 2015. ↑ "Harry Potter and the Chamber of Secrets (2002)". Rotten Tomatoes. Retrieved 1 December 2013. ↑ "Harry Potter and the Chamber of Secrets (2002): Reviews". Metacritic. Retrieved 29 June 2009. ↑ "Harry Potter and the Prisoner of Azkaban (2004)". Rotten Tomatoes. Retrieved 29 September 2013. ↑ "Harry Potter and the Prisoner of Azkaban (2004): Reviews". Metacritic. Retrieved 29 June 2009. ↑ "Harry Potter and the Goblet of Fire (2005)". Rotten Tomatoes. Retrieved 1 December 2013. ↑ "Harry Potter and the Goblet of Fire (2005): Reviews". Metacritic. Retrieved 29 June 2009. ↑ "Harry Potter and the Order of the Phoenix (2007)". Rotten Tomatoes. Retrieved 1 July 2016. ↑ "Harry Potter and the Order of the Phoenix (2007): Reviews". Metacritic. Retrieved 29 June 2009. ↑ "Harry Potter and the Half-Blood Prince (2009)". Rotten Tomatoes. Retrieved 1 July 2016. ↑ "Harry Potter and the Half-Blood Prince (2009): Reviews". Metacritic. Retrieved 17 July 2009. ↑ "Harry Potter and the Deathly Hallows - Part 1 (2010)". Rotten Tomatoes. Retrieved December 1, 2013. ↑ "Harry Potter and the Deathly Hallows: Part I (2010): Reviews". Metacritic. Retrieved 1 December 2010. ↑ "Harry Potter and the Deathly Hallows - Part 2 (2011)". Rotten Tomatoes. Retrieved 1 July 2016. ↑ "Harry Potter and the Deathly Hallows: Part 2 (2011): Reviews". Metacritic. Retrieved 11 July 2011. ↑ "Fantastic Beasts and Where to Find Them (2016)". Rotten Tomatoes. Retrieved 28 November 2016. ↑ "Fantastic Beasts and Where to Find Them reviews". Metacritic. Retrieved 28 November 2016. ↑ "Harry Potter franchise to get Outstanding BAFTA award". BBC Online. 3 February 2011. Retrieved 3 February 2011. ↑ "BAFTA Honors John Lasseter and David Yates 11/30". Broadway World (Los Angeles). 28 June 2011. Retrieved 28 June 2011. The worldwide success of Mr. Lasseter for Walt Disney and Pixar Animation Studios and Mr. Yates' contribution to the final four parts of the 'Harry Potter' franchise makes them global wizards in their own right, and are delighted to honor these remarkable filmmakers with this year's Britannia Award. ↑ "John Lasseter and David Yates set to be honored by BAFTA Los Angeles". Los Angeles Times. 28 June 2011. Retrieved 28 June 2011. ↑ McNamara, Mary (2 December 2010). "Critic's Notebook: Can 'Harry Potter' Ever Capture Oscar Magic?". Los Angeles Times. Retrieved 6 March 2011. ↑ "Potter Oscar Magic". Thespec.com. 26 November 2010. Retrieved 2 March 2011. ↑ "BAFTA Film Nominations 2001". British Academy of Film and Television Arts. Archived from the original on 21 September 2010. Retrieved 21 October 2010. ↑ "Past Saturn Awards". Academy of Science Fiction, Fantasy & Horror Films. Archived from the original on 12 May 2011. Retrieved 21 October 2010. ↑ "6th Annual Excellence in Production Design Awards". Art Directors Guild. Retrieved 21 October 2010. ↑ "2001 Broadcast Film Critics Choice Award Winners and Nominations". Broadcast Film Critics Choice Awards.com. Archived from the original on 15 February 2012. Retrieved 19 October 2010. ↑ Pryor, Fiona (28 September 2007). "Potter wins film awards hat-trick". BBC Online. Retrieved 29 September 2007. ↑ Griffiths, Peter (10 March 2008). ""Atonement" wins hat-trick of Empire awards". Reuters UK. Retrieved 10 March 2008. ↑ "Nicholas Hooper nominated for "World Soundtrack Discovery Award"". HPANA. 7 September 2007. Archived from the original on 11 September 2007. Retrieved 8 September 2007. ↑ "FILM AWARDS NOMINEES IN 2008". BAFTA. 16 January 2008. Retrieved 4 February 2008. ↑ "Film Awards Winners: 2010". British Academy of Film and Television Arts. 21 January 2010. Retrieved 4 May 2010. 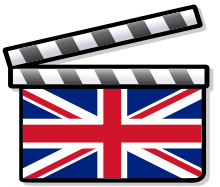 ↑ Orange British Academy Film Awards in 2010 – Long List. Retrieved 5 May 2010. ↑ "Saturn Awards 2011 Nominations". Saturn Awards. 24 February 2011. Retrieved 29 March 2011. ↑ "Empire Awards 2011 Best Fantasy Film". Empire Awards. 28 March 2011. Retrieved 29 March 2011. You must excuse the absence of David Yates; he'd love to be here but he's putting the finishing touches on our epic finale, which is why I'm here. ↑ "Saturn Awards 2012 nominees". The Academy of Science Fiction Fantasy & Horror Films. Archived from the original on 13 June 2011. ↑ "Harry Potter becomes highest-grossing film franchise". The Guardian. UK. 11 November 2007. Retrieved 17 November 2007. ↑ ""Harry Potter and the Deathly Hallows – Part 2" Crosses $1 Billion Threshold" (Press release). Warner Bros. Pictures. 31 July 2011. Retrieved 31 July 2011. ↑ "All Time Worldwide Box Office Grosses". Box Office Mojo. Retrieved 29 July 2007. ↑ "Harry Potter and the Deathly Hallows – Part 1 Conjures International Box Office Magic, Becoming Top Earner of Entire Film Series" (Press release). Warner Bros. Pictures. 9 March 2011. Retrieved 11 March 2011. ↑ "Box Office Mojo". Box Office Mojo. Retrieved 11 March 2011. ↑ Etan Vlessing (October 3, 2016). "'Harry Potter' Movies Returning to Imax Theaters for One Week". The Hollywood Reporter. Retrieved October 3, 2016. 1 2 "Harry Potter and the Philosopher's Stone – Foreign Box Office Data". The Numbers. 1 2 3 4 5 6 7 8 9 10 11 12 13 "UK Highest Grossing Movies". 25thframe.co.uk. Retrieved 17 December 2010. 1 2 3 4 5 6 7 8 Collett, Mike (22 July 2011). "Harry Potter movies earn $7 billion". msnbc.com. Retrieved 10 December 2011. 1 2 "Harry Potter and the Chamber of Secrets -Foreign Box Office Data". The Numbers. 1 2 "Harry Potter and the Goblet of Fire -Foreign Box Office Data". The Numbers. 1 2 "Harry Potter and the Order of the Phoenix -Foreign Box Office Data". The Numbers. 1 2 "Harry Potter and the Half-Blood Prince (2009)". Box Office Mojo. Retrieved 1 December 2009. 1 2 "Harry Potter and the Half-Blood Prince – Box Office Data". The Numbers. Retrieved 11 December 2009. 1 2 "Harry Potter and the Deathly Hallows Part 1 (2010)". Box Office Mojo. Retrieved 17 December 2010. 1 2 Frankel, Daniel (17 November 2010). "Get Ready for the Biggest 'Potter' Opening Yet". The Wrap. Retrieved 21 November 2010. 1 2 "All Time Box Office Adjusted for Ticket Price Inflation". Box Office Mojo. Retrieved 10 December 2011. 1 2 "Harry Potter and the Deathly Hallows Part 2 (2011)". Box Office Mojo. Retrieved 10 December 2011. ↑ "Fantastic Beasts and Where to Find Them (2016)". Box Office Mojo. Retrieved 28 November 2016. ↑ "Harry Potter Moviesat the Box Office". Box Office Mojo. Retrieved 28 November 2016. ↑ Summer 'Potter' Showdown Box Office Mojo. Retrieved 18 September 2011. ↑ All-time top 20 films at the UK box Office Statistical Yearbook 2011. Retrieved 8 August 2011.